One of the most enjoyable family-oriented events of the season returns to Klehm Arboretum & Botanic Garden, on Sunday, Oct. 8, from 10 a.m. to 3 p.m., presented free of charge as a gift to the community by the DAO Foundation. Open your e-magazine now to learn more about Autumn at the Arboretum. 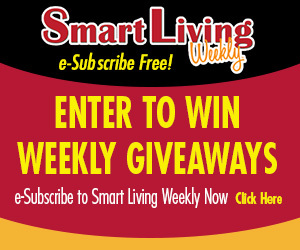 Congratulations to Eileen Gifford of Rockford, this week’s Smart Living Weekly giveaway winner! Eileen takes home a $25 gift card to GreenFire, in Rockford. This entry was posted on Wednesday, September 27th, 2017 at 5:00 am	and is filed under Arts & Entertainment News & Events, Business News & Events, Mind & Spirit News & Events, News & Events, Smart Living Weekly, Smart Living Weekly. You can follow any responses to this entry through the RSS 2.0 feed. Both comments and pings are currently closed.